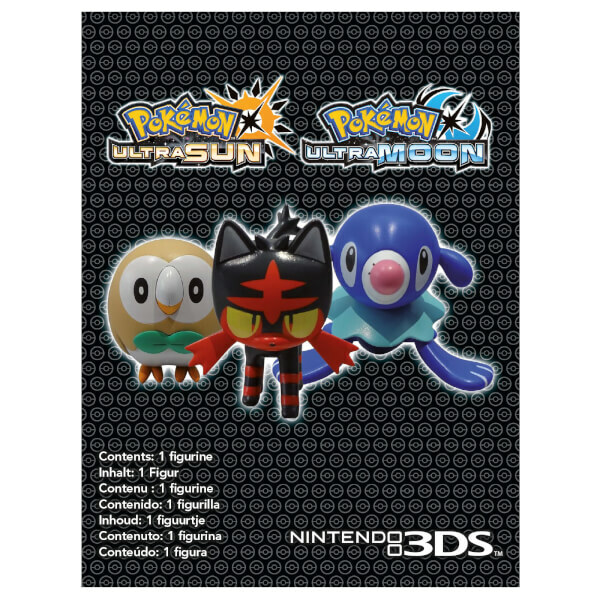 Take your favourite starter Pokémon on the go with this Pokémon Ultra Sun and Pokémon Ultra Moon figurine. 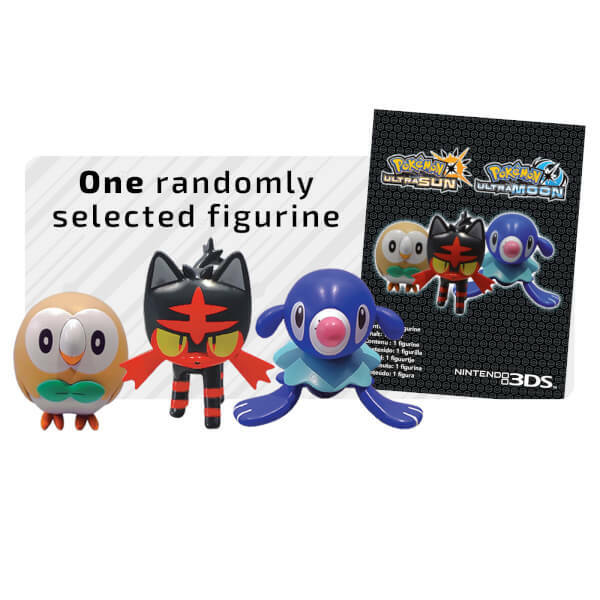 Featuring Popplio, Rowlet and Litten, each figurine bag contains 1 randomly selected character from the 3 available. Celebrate the release of Pokémon Ultra Sun and Pokémon Ultra Moon with this exclusive figurine.